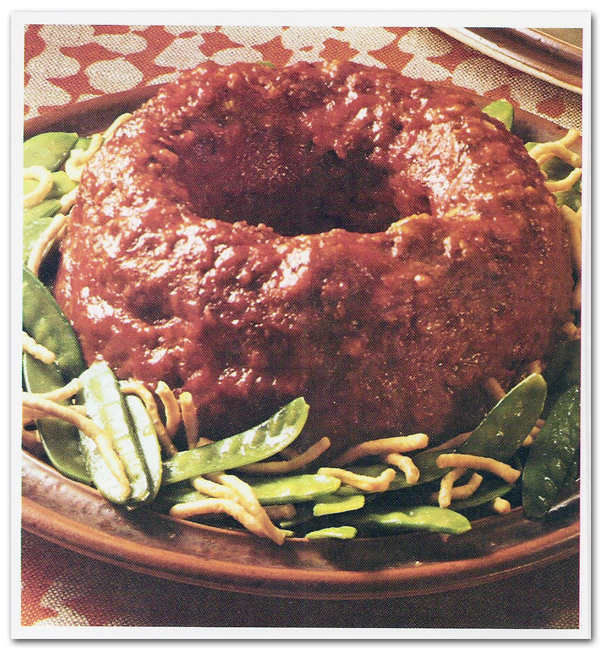 Shape a lovely meat loaf in a ring mold, then turn the mixture out into a pie plate. This is an Oriental dish, so don’t forget to garnish the meat ring with chow mein noodles and cooked pea pods. And remember, a fork does the work of twenty chopsticks!